Welcome to one of the best hotels in Varanasi. Hotel Surya was founded in 1982 beginning with just eight guest rooms. At that time, the hotel was surrounded with fields and orchards and was just one of the two hotels in the area. In 2005 renovations began on Kaiser Palace to restore the building to its original beauty. 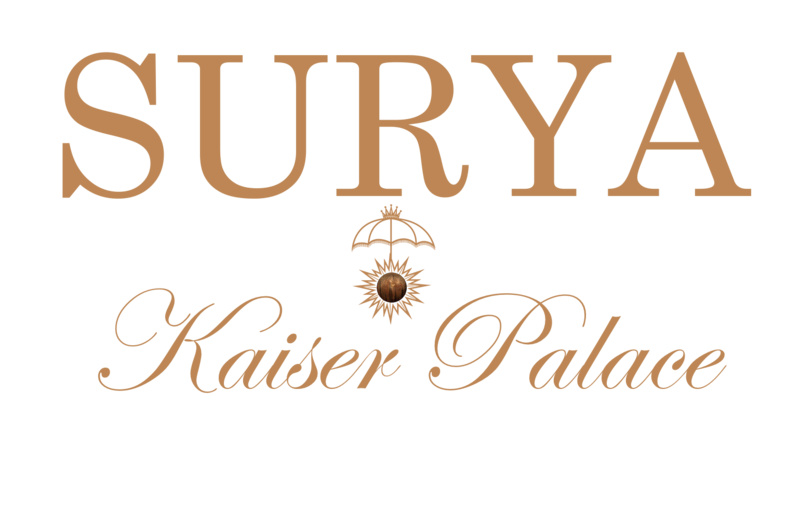 Hotel Surya now offers entertainment spaces, restaurants, a full service spa, bar and café, travel agency, and much more. With everything offered within the hotel, it’s the perfect retreat away from the busyness of the ghats. We aim to provide the highest level of guest experience, while maintaining a familiar comfort that makes the guest feel like they are at home. The hotel is fully equipped with an ayurvedic spa, a full service restaurant and café, pool, gardens, boutiques, and a lounge for nightlife and entertainment. The entire hotel functions with a focus on impacting the environmental and social surroundings in a positive way. Our mission is to provide prestigious accommodations, impeccably prepared food and outstanding amenities in order to create a memorable experience. Quality, Service, Family, Integrity, and Greatness. Quality is defined in the elegant surroundings and remarkable food provided at the hotel with consistent, extraordinary service. As a family owned and operated business, our sense of community and family is extended to our employees as well as guests. By respecting our guests and employees the business elevates everyone's experience. We are constantly striving to improve by being open and receptive to feedback and change, which keeps us in integrity. This in turn, makes our customers’ experience a memorable and great one.